Membee’s widgets are responsive, meaning they will adapt to your responsive website if a member is on their mobile device. This makes it way easier for members to signup for membership, register for events, search the directory, pay their ebill, etc.! Having a responsive design is becoming increasingly more vital to the search success of a webpage. Your organization’s search engine optimization (SEO) can be affected negatively if your webpage does not have a responsive design. MailChimp now makes it easy to retarget your ads directly to your customer base, and desired demographic. “Retargeting takes advantage of all the work you’ve done to bring customers to your site the first time…That’s why retargeting ads usually cost the least and earn the highest ROI. If you’re not retargeting, you probably should be,” says Tom Klein, MailChimp’s Chief Marketing Officer. Over 90% of members who visit your online store for the first leave without purchasing anything. Targeting customers on Google Ad Display Network is the easiest and most cost-effective way to turn recent shop visitors into customers. By simply connecting your online store to MailChimp they create clickable display ads for you, all you need to do is provide an eye-catching headline, tweak your content, and your ad is done! This is perfect for smaller organizations as setting up ads in Google itself can be a daunting task with a definite learning curve. MailChimp has made it so simple that in just a couple clicks your ads will be reaching your potential customers at just $1 a day. 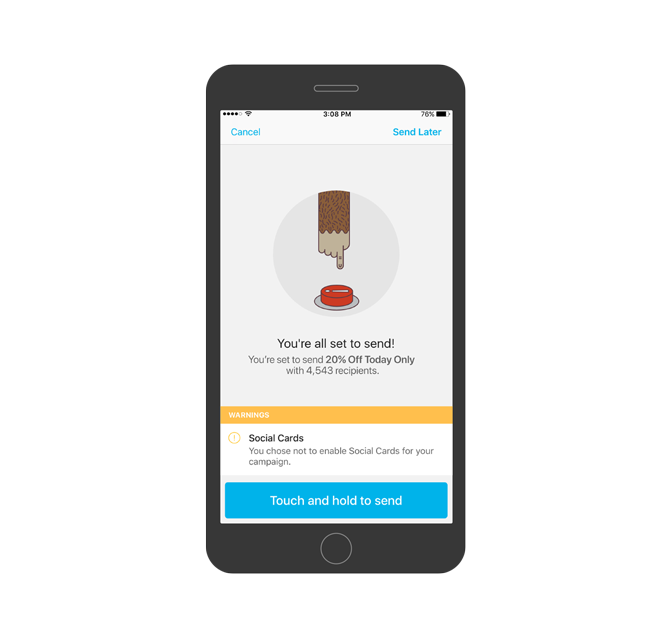 MailChimp has all the tools you need to create integrated marketing campaigns under one roof. Drive traffic to your website with an email, Facebook ad, or Instagram ad, and capture email addresses with a pop-up form. Then, if someone leaves without buying, you can retarget them with an ad. Once they make a purchase, send them a welcome or first-purchase automation to keep them engaged. Being constantly on the go and as busy as can be, you need your work to go wherever you do. 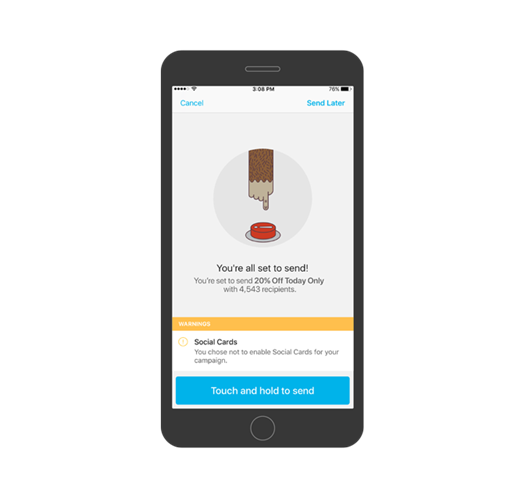 With MailChimp’s mobile app it’s easy to create and manage your marketing campaigns from whether it be at your desk, or on the train. These campaigns can be sent to your entire member list or specified lists. It’s an awesome way to get the message out about a conference, gala, members-only yoga class, or whatever event your organization has coming up! In fact, we send our Latest Buzz blogs to all of our subscriber weekly using an RSS feed campaign in MailChimp! It’s easy to use, easy to replicate, and the stats arrive and update immediately and flawlessly. It’s also handy to be able to preview how it will display on desktop and mobile, so you see what members see. Check out your campaign before it sends with MailChimp’s pre-delivery checklist to make sure you have all you need. If you typically send out the same type of campaign or email you can easily replicate a draft or sent email in a few clicks! MailChimp’s also has a mobile dashboard which makes it easy for you to check all your campaign metrics and keep tabs on audience growth, campaign engagement, and e-commerce performance right from the MailChimp mobile app! To learn more about the app or how to get started with MailChimp, follow this link: Learn More!! Not Responsive? We Can Help! If your website is not yet using a responsive design and you’re ready for it to be, look no further! You may or may not know that Membee provides complete website development services. We develop modern, responsive, and member friendly websites only for Membee clients. 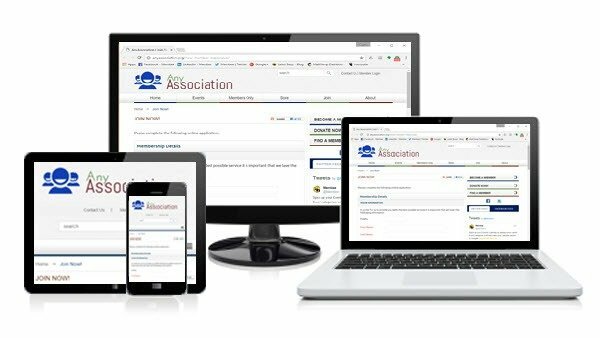 With a few hundred membership websites under our belt, we know exactly what makes an effective and appealing membership site.